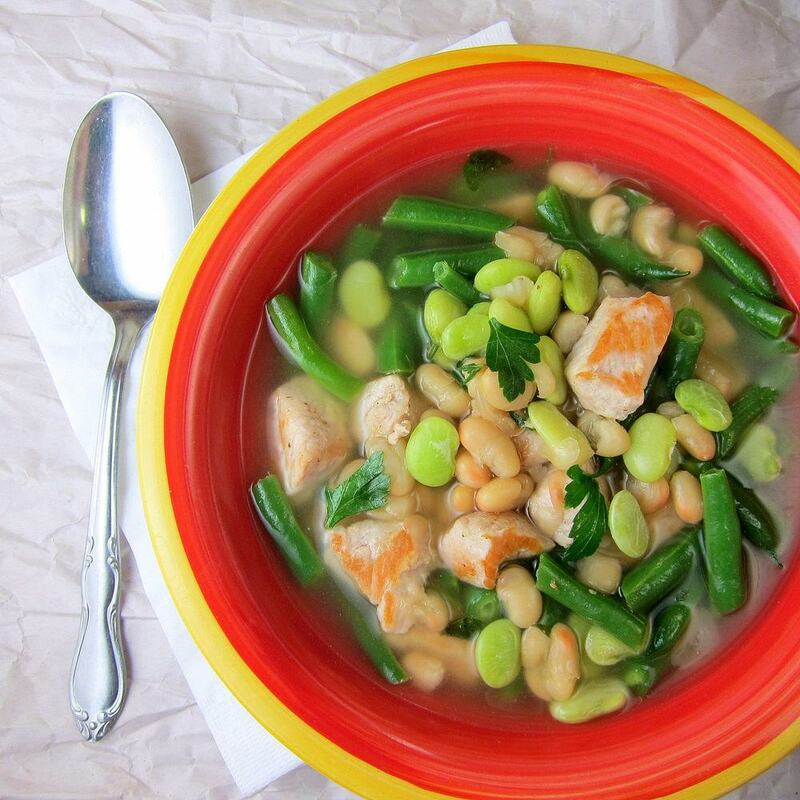 A recipe for delicious, hearty Pork Three-Bean Soup that is ready in 20 minutes. Keep this recipe on hand for buys weeknights! Season the cubed pork liberally with salt & pepper. In a large skillet, heat olive oil and add the seasoned pork. Cook cubed pork over high heat for about 6-7 minutes, stirring occasionally, until lightly browned. In a medium-sized soup pot, bring the chicken broth to boil. Add pork and the rest of the ingredients, bring to a boil, and then turn off the heat. Stir in parsley. Serve hot.